I've always been a big fan of The Misfits, with Walk Among Us being one of my favourite albums of all time (and if you like any form of punk rock, you should own this by now, totally essential) but I've only just acquired their Box Set which documents pretty much everything they put out and is just getting hammered on my iPod at the mo. 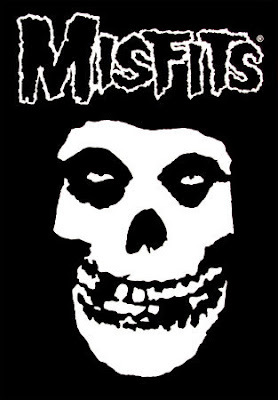 I saw The Misfits be part of a wrestling angle, associated with wrestler Vampiro. Feckin' English blokes.... Henry Rollins pisses on yer head, ya wanker! I don't know about that, they had a song called 'Vampira' as they were shlock horror fans, of the Plan B sort. 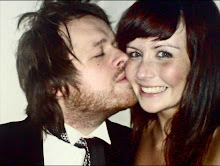 Awesome band. Misfits were American from NJ, Rollins and Danzig are top pals, I have a great version of 138 with Danzig and Rollins on vox. Think my son's Dad used to like their stuff! Everyone has to like their stuff!